Posted February 13, 2018 by The Rapid & filed under News. This past Friday, The Federal Transit Administration granted The Rapid $56.4 million to fund the transit authority’s next bus rapid transit line, the Laker Line. Funding for the 13-mile-long Laker Line from downtown Grand Rapids to Grand Valley State University’s Allendale campus was authorized in President Barack Obama’s last budget for fiscal 2017. U.S. Rep. Bill Huizenga, R-Zeeland announced Friday that the funding for the Laker Line had been approved. This federal grant will pay for 80 percent of the $70 million Laker Line project. The rest of the cost will be covered by the Michigan Department of Transportation, which has already allocated the $14 million it pledged. 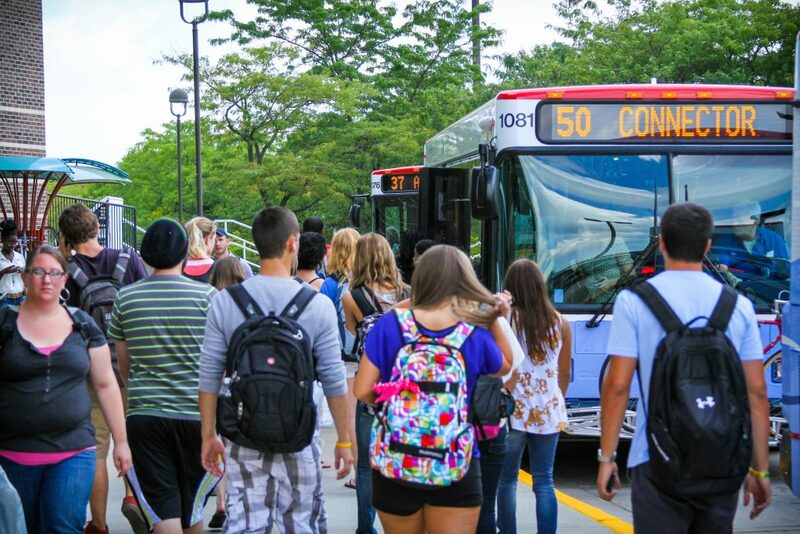 Grand Valley State University will be covering the operational costs of this line. Station construction will begin this spring and last throughout 2019, with a grand opening of the Laker Line in May 2020. The Laker Line will offer bus service similar to what The Rapid offers on its existing Route 50. Buses will pick up passengers from stops every five to six minutes at peak time and feature larger buses that can carry more riders, making the route more efficient. The articulated buses have seats for 60 passengers but can carry up to 90 people. The current Route 50 buses seat 40 passengers and can carry up to 60 people.